Thanksgiving, one of my all-time favorite holidays. It’s the holiday where everyone can be themselves, there aren’t any gifts or grand gestures to be made. Just a day to help us remember all that we are thankful for. It’s a day that many share with friends rather than their own family. A day where all those who are without family, whether they be far in distance or in heart, they have a place with friends. For the past 13+ years our Thanksgiving has been one spent with friends. Year after year, friends and locations have changed, but one thing remained constant, our love for gathering, sharing and being thankful for the friendships we’ve made. I think the beauty of Thanksgiving is the ridiculous number of dishes that are made for ONE meal! About 15 side dishes and appetizers, one turkey and lots and lots of wine! But really, the day is all about the side dishes. Whether you’re team mashed potatoes or team sweet potatoes, at a Friendsgiving you can be sure BOTH will be at the table. One host but many, many helping hands and creative minds come together to share their finest recipes for this big day. I realized, as I was putting my Google Doc together for this year’s event, I am definitely NOT a traditionalist. I love taking fall flavors and mixing things up. Which brings me to this divine baked good that can be served as an appetizer or a side dish. My taste buds are literally still abuzz. It’s a savory galette with hints of sweetness. This would even be a perfect “dessert” for someone who is avoiding sugar, it really hits all the notes. Galettes are one of my favorite things, easier than a pie, more casual, more rustic and frankly I think 95% of the time they are more gorgeous with all their innards showing (innards? LOL). But really, it’s the casual pie, kind of in the same category as a streusel or crumble…all the flavor and a fraction of the work. After a little Instagram poll, there was some demand for: savory dishes & new and innovative. 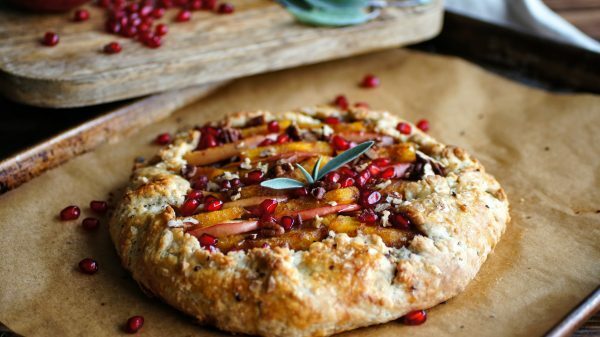 I think this galette will be a PERFECT addition to your Thanksgiving table no matter how big or small of a gathering. 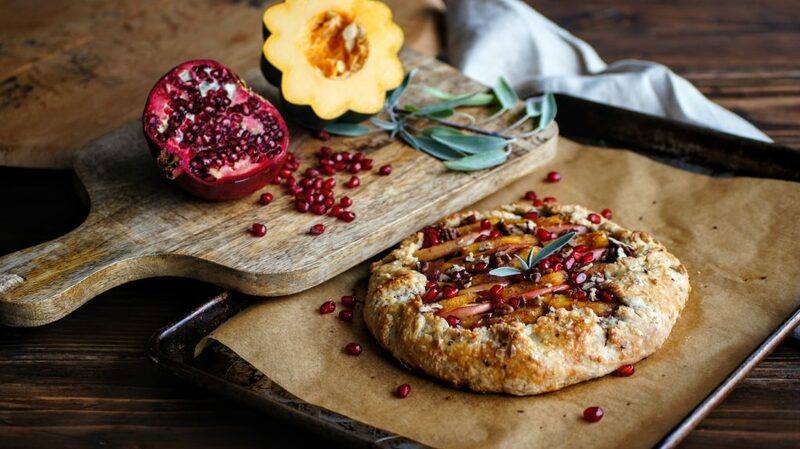 With a combination of caramelized onions + acorn squash + apples + pomegranate seeds + pecans, you and your guests will be in heaven. This is also a vegetarian option for your guests and could definitely be gluten free if you use a gluten free crust or flour. I decided to use acorn squash because frankly, they’re the underdog in the squash category, don’t you think? Butternut and Spaghetti squash get all the glitz and glamour while little old acorn squash gets ignored. My husband actually first introduced me to this lovely variety, probably because it’s also one of the cheapest and back in the day we ate good…but cheap. We roasted them and then piled on some brown sugar or maple syrup and had the most delicious side dish on a cold fall day. So it naturally came to mind when making this dish, it’s hearty, inexpensive (since the rest of your Thanksgiving menu may not be) and really has a lovely texture and flavor. 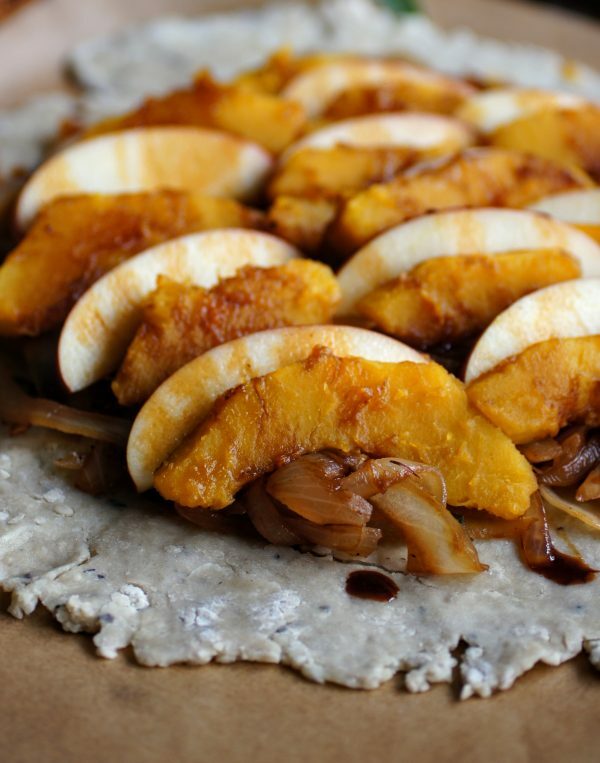 Instead of a sauce, a bed of caramelized onion graces this galette, is there anything better than caramelized onions? When cooked down they really have a silky, almost sauce-like texture. 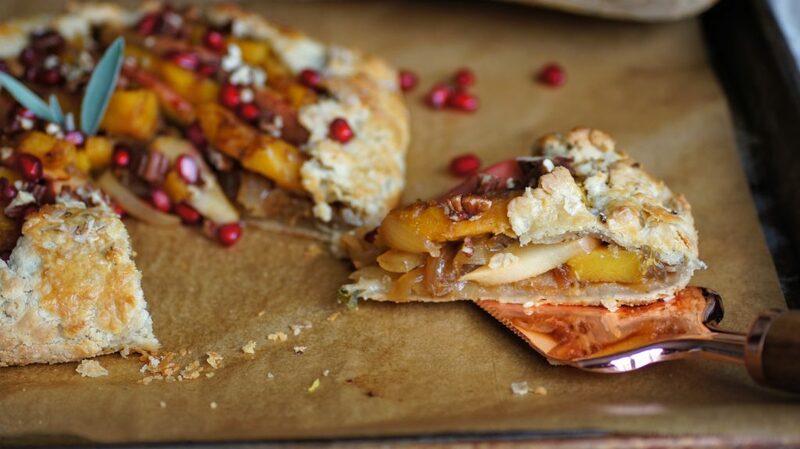 And finally some hints of sage + apples + pomegranate + pecans…all things fall in one place! So with just over 2 weeks before Thanksgiving, are you ready??? Add this to your menu and get your shopping list ready. I hope you enjoy, as always I love seeing your creations, tag me on Instagram @CosettesKitchen or post on my Facebook Page. Preheat oven to 400 degrees Fahrenheit and line sheet pan with parchment paper. Prepare your favorite pie dough or store bought variety. I like to add in some chopped sage leaves into the dough to give it a little extra flavor. Prepare and place in fridge until ready to roll. 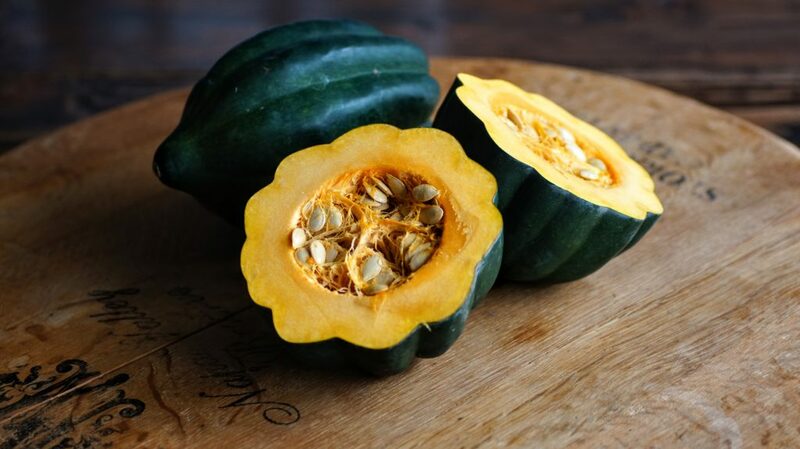 Cut your acorn squash in half and remove seeds. You'll only need one half for one galette but feel free to cook the whole thing. I slice the squash into half moons about 1/2" thick and place into a large pan with a bit of water, cover and allow to steam for about 10 minutes on medium high. You want the squash to be fork soft but not mushy otherwise it will fall apart, so do keep checking. 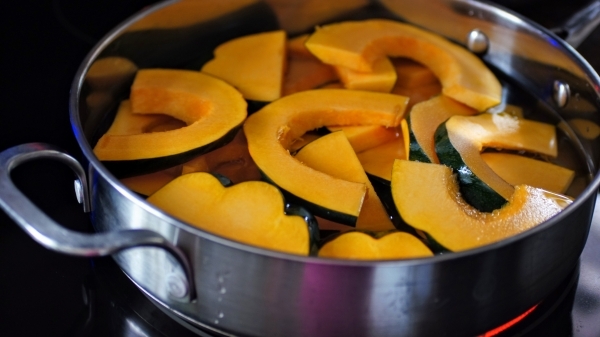 Once squash is done, remove and let cool the remove the outer skin. Add about 2 tbsp butter to the same pan and let brown slightly. Add in your squash then drizzle with maple syrup. Just heat it all up slightly so the squash is coated in butter and a touch of maple syrup. Set aside. In another large pan, heat your remaining 2 tbsp of butter and add in your sliced onions. 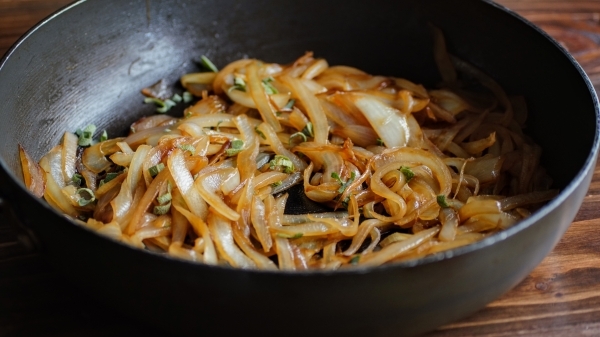 Let the onions cook down on medium-low heat until they begin to brown and caramelize. Be sure to frequently stir and shift in the pan so they evenly cook. Salt slightly (about 1/2 tsp) of kosher salt. Once cooked and wilted down, add in your chopped sage. 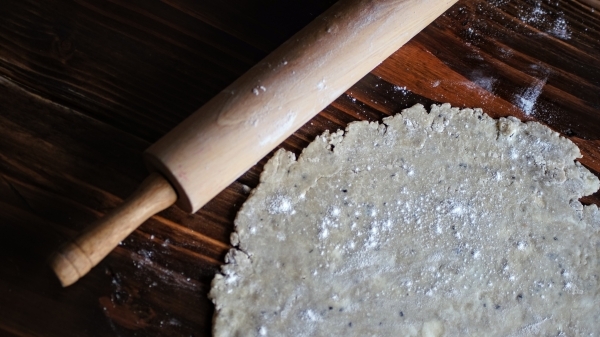 Remove your pie dough and roll out into a large circle (about 10") on a well floured surface. Place pie dough onto parchment lined sheet pan. 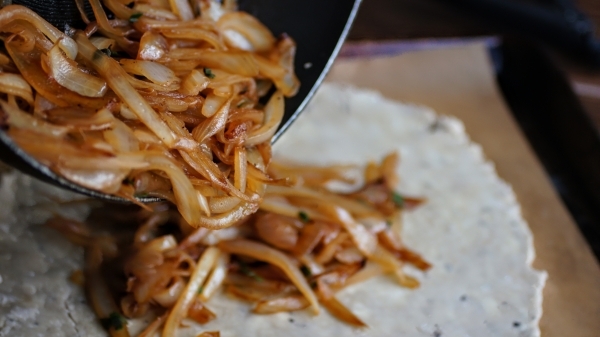 Leaving about an inch border around the galette, place your caramelized onions first. Then a layer of acorn squash on top. 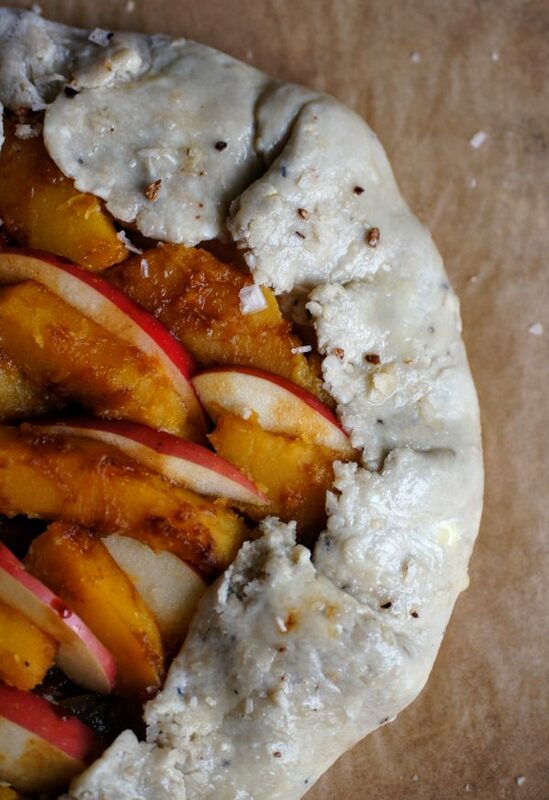 Fold over the edges of your galette, brush with egg wash and finally sprinkle the sea salt on crust. Bake in preheated oven for 25 minutes on top 1/3 of oven. Remove when edges are browned and flaky. *This recipe would be lovely with pears instead of apples. *Pomegranate molasses can be found at most specialty food stores or online. You can certainly omit or use a touch of honey or molasses if you'd prefer. *Any nut will do if you'd like the added crunch, walnuts would be a lovely addition. Hi Cosette, this looks very yummy; I’m hosting Kevin’s parents and am trying to get a menu together I’m thinking pumpkin raviolis or now this galette. Looking forward to the next few weeks to see how else you’ll change my mind. Also just wanted you to know that I roasted so many sungolds in september because of you they were fabulous. Keep on cookin’. Awwww! So happy to hear, can’t wait to hear about your Thanksgiving! I will have some more recipes up this week too! Stay tuned and let me know if there is something you’re thinking about. Lots of love!